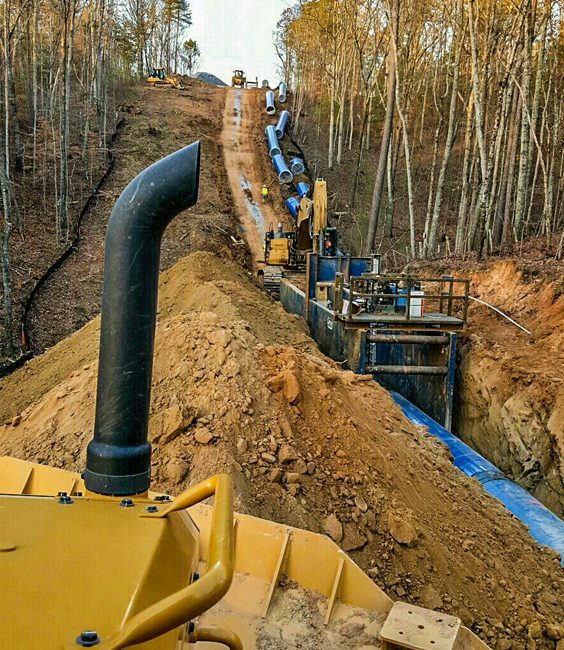 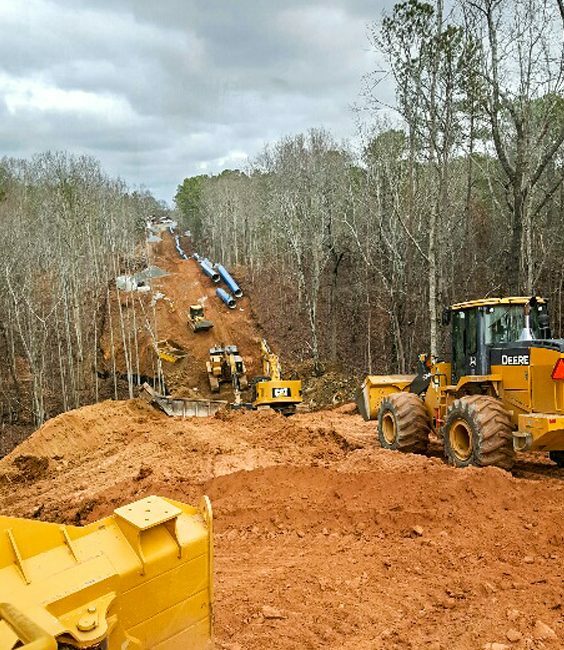 Paulding County is constructing the largest project in the County’s history, a new 305-acre pumped-storage reservoir, dam, water treatment plant, two major pump stations, and over 20 miles of pipelines in order to meet future water demands. 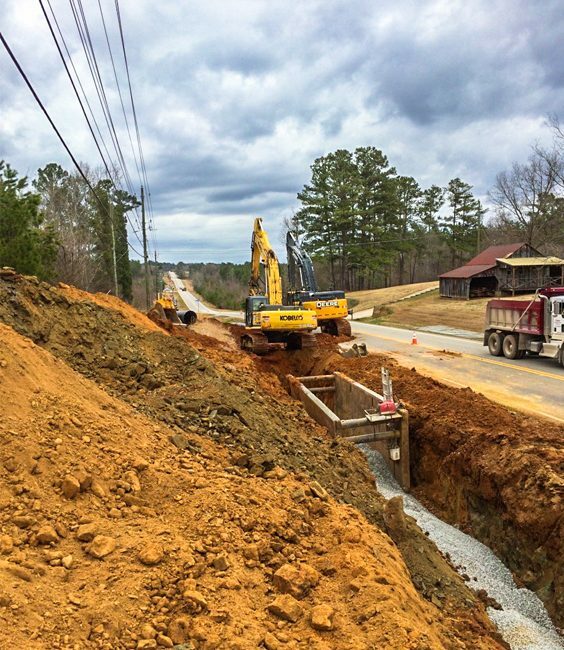 Within this $215 million program, Garney was selected as the design-builder for 18,100 LF of 48″ mortar-lined steel raw waterline crossing two counties and three jurisdictions from the Etowah River intake to the new reservoir. 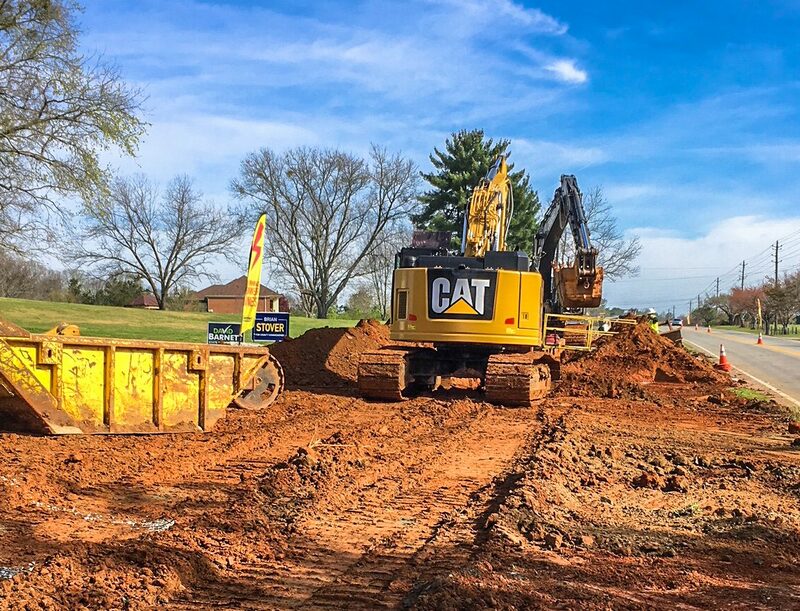 Garney’s experience collaborating as the design-builder resulted in completing this project 10 months ahead of schedule. 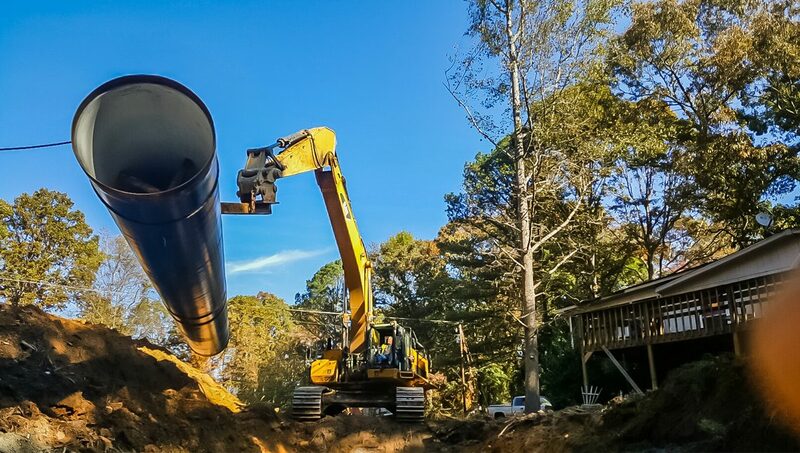 Garney was also selected to construct Phase 1 of the Finished Water Transmission Main. 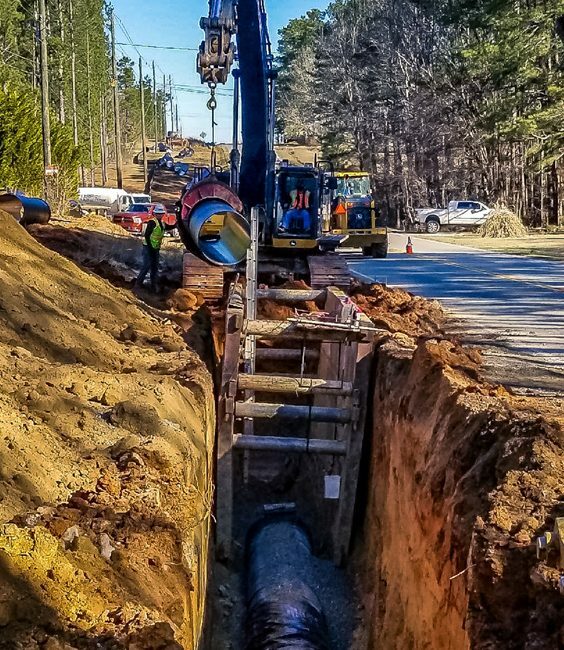 This was one of the final pieces to the reservoir project and entailed 53,800 LF of 36″, 3,600 LF of 48″, and 3,250 LF of 8” ductile iron pipe.